Episode #38 – Don’t Look Back – Big Fish Ideas - Small Business Club. Success By Sharing Stories That Worked Next Door. Focus on your goal. Keep moving toward your goal. 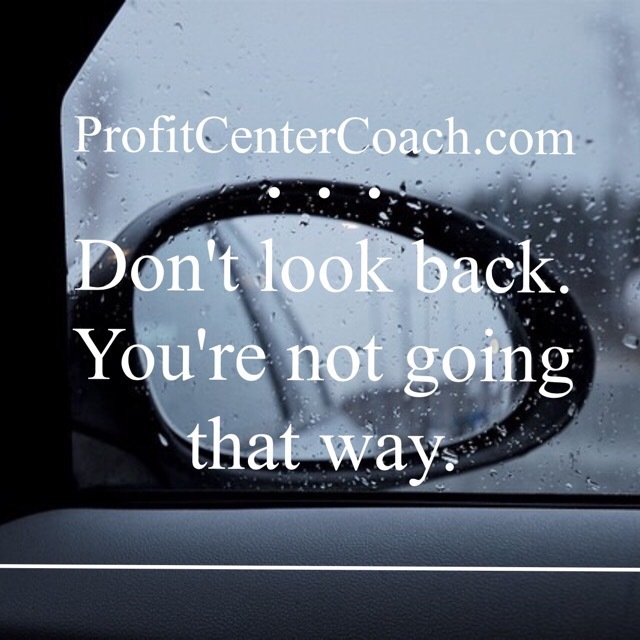 That means don’t get stuck looking backward at an old situation or a “it used to be done like that”. I hear lots of people say, “I used to just put an ad in the newspaper and that’s all I had to do to get customers” — that is true, but does that help you today? To get the results you used to get with newspaper ads you have to become the newspaper (and create content) – it’s different. but don’t look back, keep moving forward and keep your eyes on the prize! Click here to listen to episode 38 of my Podcast.